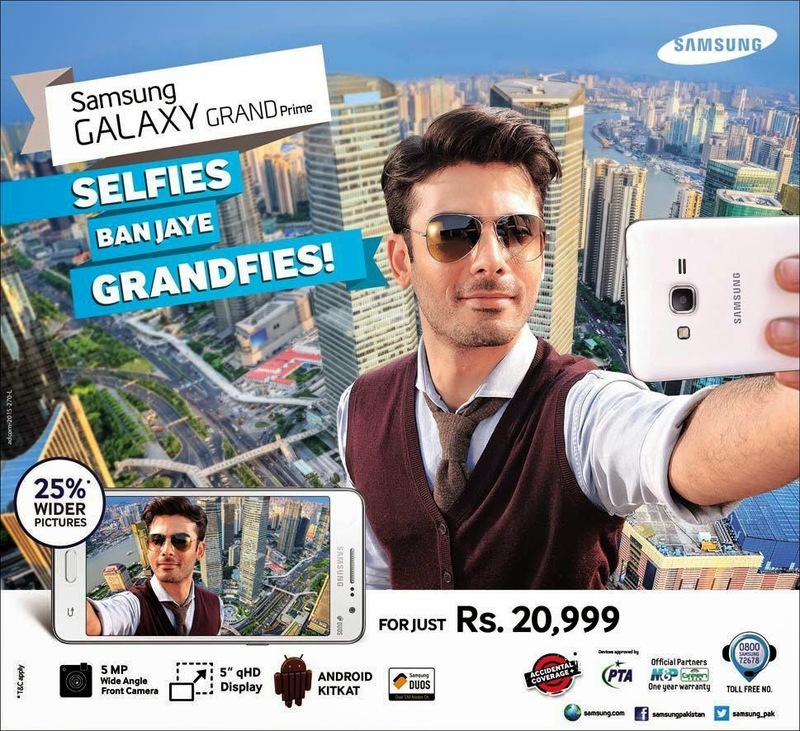 Samsung Galaxy Grand Prime is slim smartphone with powerful features you can see all features below, Galaxy grand Prime fulfill users needs like multi-tasking, 5 mega-pixel front camera, long lasting Battery. Get everyone in the shot (5 MP front camera with ultra-wide view). Samsung Galaxy Grand Prime comes with all latest features Android OS, version 4.4.2-Kit-Kat, 8 GB built-in Storage memory, 1 GB RAM, microSD card (supports up to 64 GB), 1.2 GHz Quad-core Cortex-A53, Qualcomm MSM8916 Snapdragon 410, with GPU: Adreno 306, Bluetooth version 4.0, microUSB version 2.0, WLAN, GPRS, EDGE, 3G, 5.0 inches screen with 540 x 960 pixels, Dual Sim, FM Radio, Audio/Video Player, GPS + A-GPS. 8 Mega-Pixel Rear camera with 3264 x 2448 pixels, auto-focus, LED flash, Geo-tagging, touch focus, Video 1080 pixel @30fps and found 5 Mega-pixel Front camera for video calling and selfie.